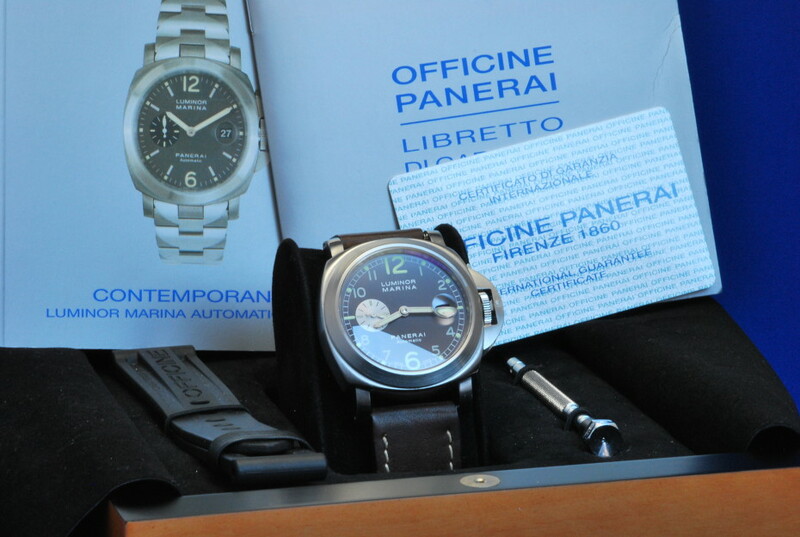 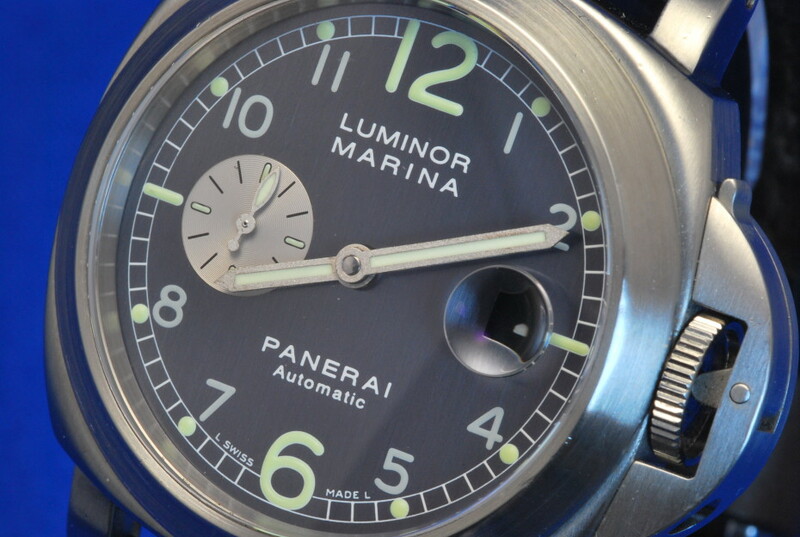 In verry nice condition Panerai, Luminor Marina (ref. 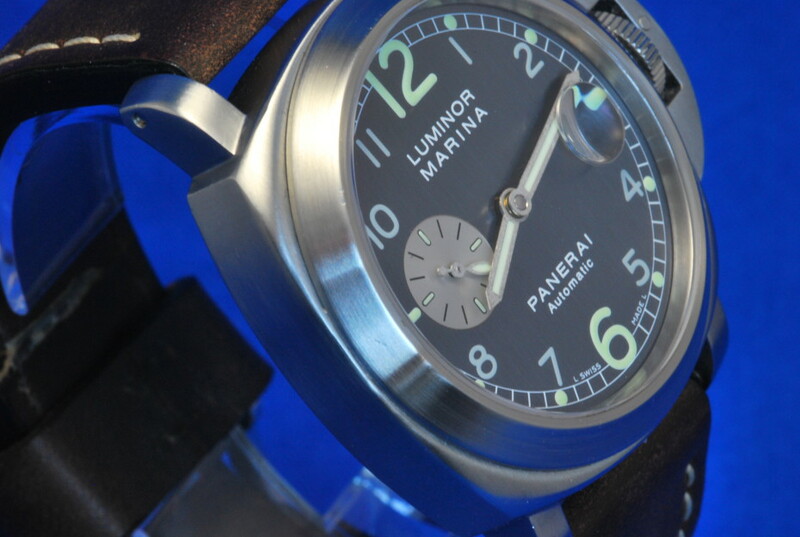 PAM 86). 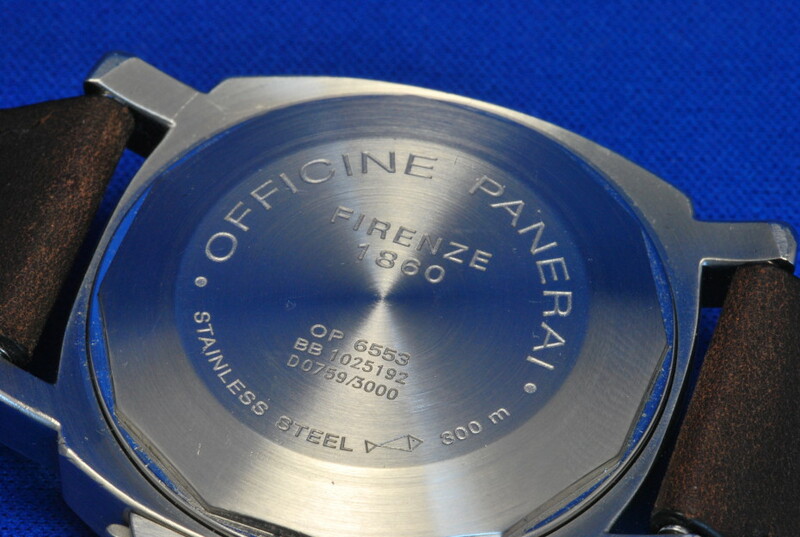 This beautiful watch is made of stainless steel with a brown leather strap and stainless steel buckle. Automatic movement showing the hours, minutes, small seconds and date with beautiful grey/bleu anthracite dial, Sapphire glas The watch is 44 mm in diameter. 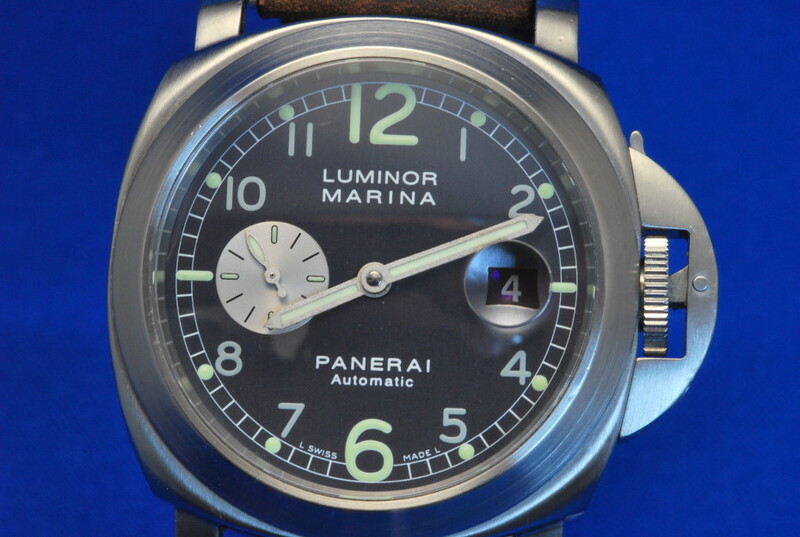 Complete with box and papers (2001- D series), rubber strap and 3 months warranty.